One of the Midwest's longest running and most hands-on summer programs for talented high school students is back for its 42nd year in 2010. Indiana State University's Summer Honors program July 18-24 offers a week of intense learning in 14 subjects taught by some of the university's most experienced faculty. Courses include activities that range from flying an aircraft, using forensics to create a clay model of a human head, exploring the music industry and assessing and preventing sports injuries. Students will work alongside some of the same professors they will later learn from and conduct research with if they chose to pursue their college degree at Indiana State. Summer Honors is open to current high school freshmen, sophomores and juniors who have at least a "B" average and are recommended by a high school teacher, counselor or principal. Participants need not be Indiana residents. 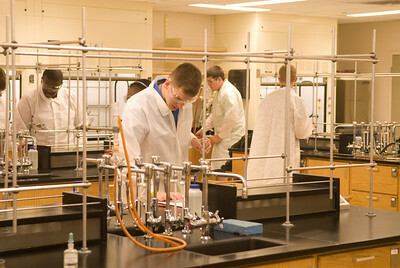 Students can chose from a variety of sessions, covering such topics as aviation; cancer research; careers in the music industry; digital electronics; drugs, pharmaceuticals and medicinal; elementary education; forensic facial reconstruction; health careers; history of the medieval world; interior architecture/design; sports injury prevention and care; technology and the environment; theater; and world music; and interior architecture/design. To learn more about the sessions offered, go to http://www.indstate.edu/experience. Summer Honors participants can earn one semester hour of credit that may be applied to a degree at Indiana State or transferred to select universities. In addition, those who complete Summer Honors with a B average or higher in their seminar, and graduate from high school with at least a B average, will be eligible to earn a $1000 scholarship to Indiana State. Fees for this year's program are $350, which includes tuition, room and board. There is an additional cost of $75 for the aviation seminar to cover flight costs. Children of ISU alumni are eligible for a $100 scholarship toward the cost of the program and a limited number of mini-scholarships are available based on financial need. Deadline to apply is May 14. Applicants are asked to not send payments with their applications. Fees will be due upon the acceptance into the program. For more information, or to apply online, go to www.indstate.edu/experience or contact the ISU Office of Admissions at 1-800-GO-TO-ISU (1-800-468-6478) or 812-237-2121.